As part of our commitment to the environment, it is important to regularly question the way that buildings are built and to reevaluate our processes and documentation to best benefit our clients and the planet. In many parts of the world, the Passive House movement is growing significantly. In Belgium (Christine’s home country!) all new buildings and retrofits in the Brussels area are now required to be designed to Passive House standards. In the US, San Francisco and Marin recognize the program and its benefits, San Francisco allowing for express plan check for buildings that are designed to meet the standards. In New York and Pennsylvania, governmental agencies are incorporating the standards into their processes and giving priority to certified passive house designs for a portion of publicly funded buildings. See link to International legislation by country. Passive House has even made its way to China with the first certified building complete in 2015! This image comes thanks to the Conrado Company, a terrific general contractor with whom we have completed several lovely projects. Incredible energy efficiency, reducing the need for most mechanical heating and cooling. Healthy buildings, where air infiltration from the exterior is minimized and ventilation provides clean air filtered of pollen, irritants and contaminates. Comfort – the typical picture is of a child sitting by a large window with snow outside – the difference in temperature near the window is minimal. The additional construction costs for well sealing the house, providing additional insulation, and purchasing better performance windows are mostly offset by the reduced costs of equipment and distribution systems. The energy saved translates to a lower bill every month, or to a smaller solar photovoltaic system required to achieve a Net Zero Energy project, which will be required in all new homes built in California in 2020, and new all commercial buildings by 2030. 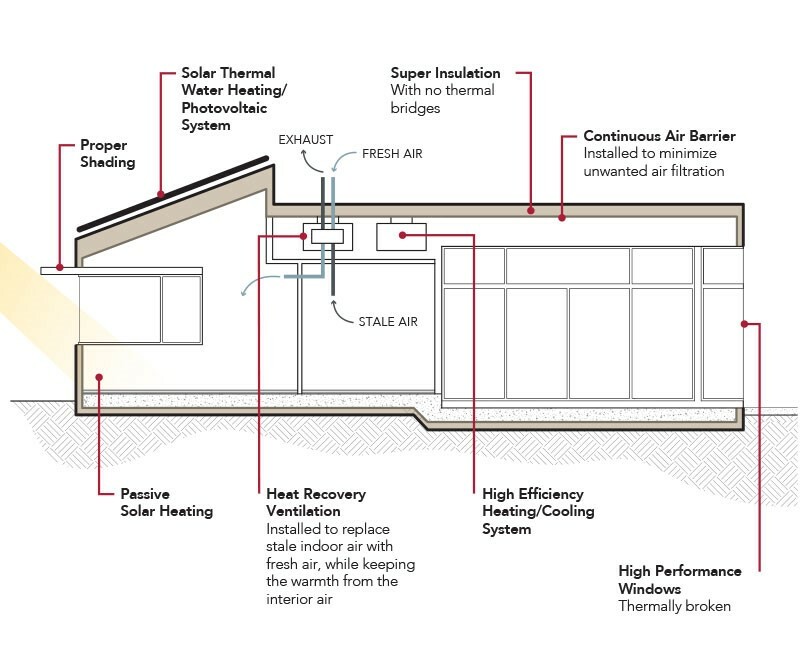 The Passive House movement will be growing in California and as one of the few certified Passive House Architects in the Bay Area (pending a final exam grade), we hope to make a difference in how the next generation of homes are built. Joe on Put a cork on it!